Without any doubts, brakes were the first and the most important one of all vehicle safety components. Already back in the 1920’s, automotive brakes hardly even coped with the engine performance and the weight of the vehicles of the time. The pneumatic servo brake presented by Bosch in 1927 significantly increased the road safety. 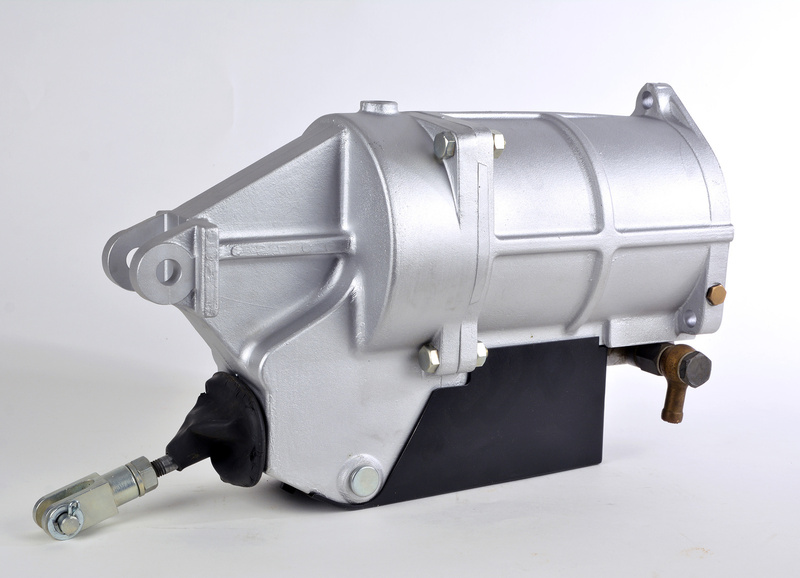 Thanks to this invention, the braking distance of contemporary commercial vehicles was reduced by one third. One year later, Bosch presented the brake support, a compact brake assistance system for passenger cars. In 1936, even the basis for modern anti-lock braking systems was laid by Bosch engineers when Bosch filed a patent for a “mechanism to prevent locking of the wheels of a motor vehicle”. But only in 1978, the powerful digital technology allowed the series production of an ABS (anti-lock braking system). By now, Bosch developments such as the ABS, the traction control system TCS launched in 1986, which was actually based on the ABS, and the electronic stability program ESP® launched in 1995 have turned into the most important components for safe braking. For 90 years, Bosch engineers set new standards making cars safer by means of technical innovations, inventions and patents for brake systems. By now, anti-lock braking systems have become a standard in automotive engineering. The electronic stability program ESP® is a legal requirement in several countries. Besides these electronic systems, Bosch developments have also improved the safe performance of all other braking components over and over again. In 1983, for example, high-carbon-cast brake discs have significantly improved the braking performance of powerful vehicles. Between 2001 and 2012, several innovations also have had an impact on the development of brake calipers. In 2016, Bosch presented the innovative high-performance brake fluids ENV6 and ENV4 ensuring quick reaction and reliable performance of modern brake systems. By means of innovative production techniques and new material blends, Bosch has managed to make progress in terms of brake pads over and over again. After all, they are to transmit the brake force in a reliable manner thus safely braking the vehicle. With regard to brake-pad development, road traffic regulations differing a lot from one country to another need to be considered as well as speed limits and environmental regulations. Bosch thus produces a lot of different brake pads to meet specific regional requirements which usually exceed the legal requirements by far. In 2010, for example, the US states Washington and California issued laws aiming on reducing the amount of copper used in brake pads. As a consequence, Bosch engineers developed a copper-free brake-pad mixture which was the first copper-free brake pad on the market eight years before the entry into force of the laws. The patent application was first filed in 2014. Even on the EU market, Bosch already offers copper-free brake pads –although they are not yet legally required. 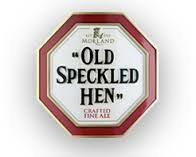 Old Speckled Hen took its name from an MG car which was used as a run-around for workers in the MG factory. Over years of service, the car became covered in flecks of paint, gaining it acclaim in the town and earned it the nickname “Owld Speckled ‘Un”, translated into Old Speckled Hen for the brown ale first brewed by Morland in 1979 when the brewery was asked by MG to create a commemorative beer for the factory’s 50th anniversary. 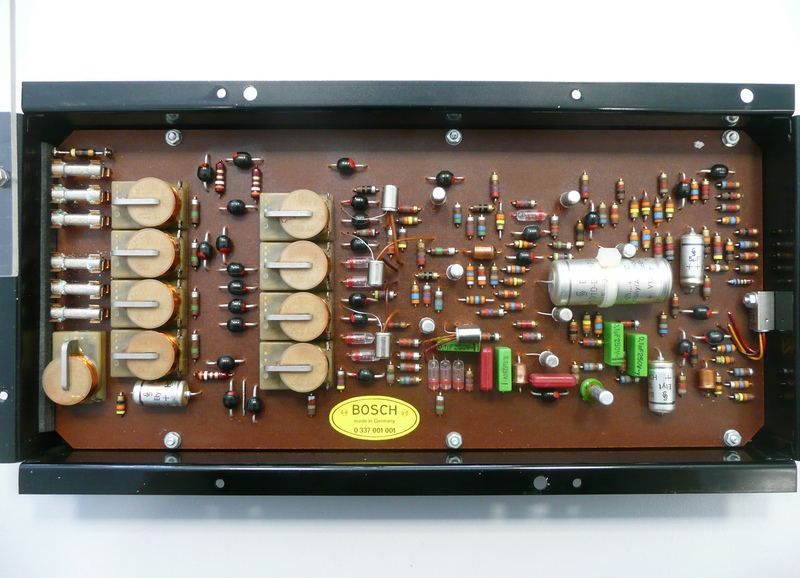 Fifty years ago, the first Bosch prototype featuring electronic transmission control made its maiden journey. The gearshift of the Glas 1700 – a modern mid-range sedan – moved as if by magic. The engineers used the car as a test vehicle for a completely new type of system. Their hope was that electronic control for manual transmissions would relieve drivers of the need to depress the clutch and shift gears by hand. The technology was developed under the leadership of the young engineer Hermann Scholl, who is now the honorary chairman of the Bosch Group. It was designed to be an affordable alternative to expensive automatic transmissions, which back then were offered almost exclusively in luxury sedans. Several hundred systems were manufactured for the Glas 1700 in 1965. “However, electronic transmission control technology was ahead of its time. The market wasn’t ready for it,” Hermann Scholl says. In addition, it was during this time that the family-owned company Glas was acquired by the automaker BMW, and BMW was not interested in using the new technology in its cars. Electronic control for manual transmissions would relieve drivers of the need to depress the clutch and shift gears by hand. The technology was developed under the leadership of the young engineer Hermann Scholl, who is now the honorary chairman of the Bosch Group. It was designed to be an affordable alternative to expensive automatic transmissions, which back then were offered almost exclusively in luxury sedans. Motronic created the basis for automatic transmissions It was not until years later, in 1979, that another Bosch invention was to be the trigger for the mass success of the self-shifting transmission. With Motronic – a combination of electronic fuel injection and ignition – Bosch had installed a freely programmable microprocessor in cars for the first time. But there was more to it than that. In combination with its separate memory, it was the first ever instance of a computer being used in a car. “Motronic provided a second chance for the transmission control system – though this time for automatic, not manual, transmissions. In combination with the engine management system, it ensured the ideal automatic gear change,” Hermann Scholl says. It was only as a result of combining the two systems – electronic transmission control and engine management – that automatic gear change became far easier. When manually shifting gear, the driver also uses the gas pedal to control the engine. Similarly, the transmission control system sends commands to the engine. The engine management system interprets these commands and carries them out. In 1983, this transmission control system was installed for the first time in the BMW 745i – together with the 4HP22 automatic transmission made by ZF AG, based in Friedrichshafen, Germany. Modern transmission control: high-tech computer in miniature At the time, the technology was still quite exclusive, but over the course of the following two decades, it became standard in all cars with automatic transmissions. It also anticipated a major trend. 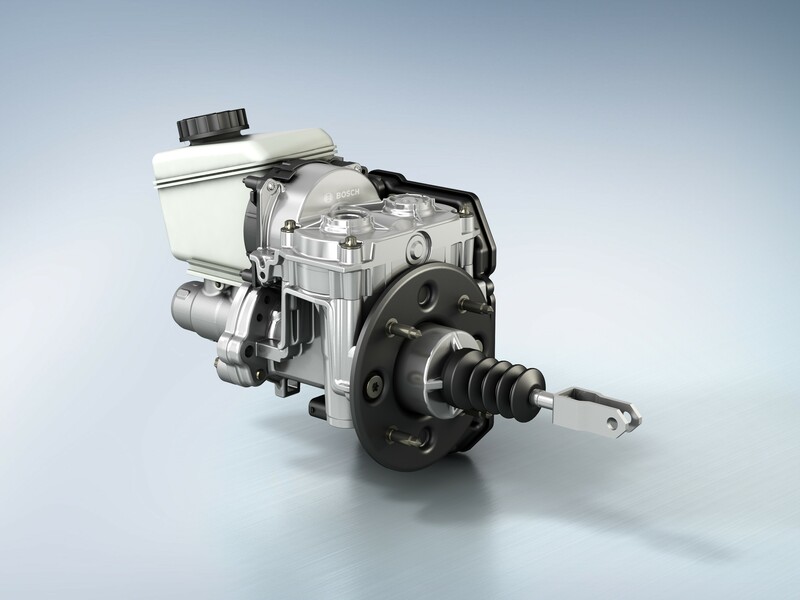 The electronic transmission control, which synchronizes gear shifts with injection and ignition parameters, is, in the best sense, a connected system designed to provide optimum driving performance, comfort, fuel consumption, and emissions. “The transmission control system selects gears in such a way that the engine is almost always in the ideal operating range. To make sure it stays that way, modern transmissions are equipped with a great deal of digital intelligence,” Hermann Scholl says. The control unit is a high-tech miniature computer that enables the complex operation of different types of automatic transmissions. Indeed, the processing capacity of a modern transmission control unit is 160 times more powerful than that of the computer used for the first lunar flight. Coasting and connectivity: the future of automatic transmissions Today, half of all new vehicles in the world are equipped with an automatic transmission, and all the signs point toward greater connectivity. At Bosch, proof of this takes the form of the electronic horizon, which connects the transmission with up-to-the-minute navigation information. Navigation systems know the area and can transmit this data to the automatic transmission, which, in turn, can shift into neutral during coasting and use the residual momentum – for example, when it knows that a lower speed limit is in force beyond the next bend. This “smarter” automatic transmission combined with an electronic horizon can provide additional fuel savings of ten percent or more.